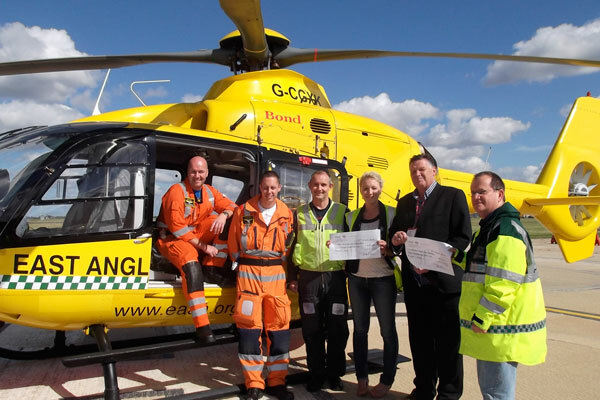 TheThe total amount raised on the day was £1,705.32 and the presentation took place at Norwich Airport on 31st August with both charities receiving cheques to the value of £852.66. After the presentation there was a tour of the helicopter and the EAAA team explained the procedures involved in their missions. TheSteve Hammond explained that the donation would go towards purchasing digital pagers, vital for the Waveney Valley First Responders when mobile signals are poor in certain areas. TheThanks go to everybody who supported our Fun Day, especially our employees, to make the donation to these two very worthy causes possible, we look forward to your support again next year.